Our superfood powder Wild Superfood Complete is quickly becoming one of our most loved products for every day use by our clients. This is due to a variety of reasons, stemming from the amazing benefits of our superfood powder! For today’s organic superfood powder reviews update, I’ll be sharing my own experiences with the product in my daily life as well as some expectations for you to experience when you incorporate Wild Superfood Complete into your lifestyle! When I drink Wild Superfood Complete, I can tell that I am consuming real organic food. This product contains some of the best superfoods to eat on the market today. I really enjoy going over the ingredients in Wild Superfood Complete, so I will share them with you all. There are over 70 plant based, organic and biodynamic ingredients in our formula. Some of my personal favorites include the following: Moringa Oleifera is amazing for its wide range of nutrients, such as Vitamin A and B6. It is also an antioxidant powerhouse and it promotes anti-inflammation. Rose Hips is an excellent source of Vitamin C. Nettle Leaf promotes having a healthy heart, and it is very high in antioxidants! Other ingredients in this formula include Parsley Root, Peppermint, a Mushroom Blend consisting of Reishi, Cordyceps and more, Schizandra Berry and much more. When I start my day, I usually drink 24 ounces of water to kick start my energy and hydration. I wait about 20 minutes before I eat any food. If I need an uplifting beverage, Wild Superfood Complete is one of my go to drinks. I like to bring it to work with me and sip it throughout the morning hours. If you bring it in a stylish cup, it is even more fun to enjoy throughout the early part of the day. I consider myself a tough cookie when it comes to nutrition, and I am very disciplined, so I enjoy to drink it straight in a glass of water. 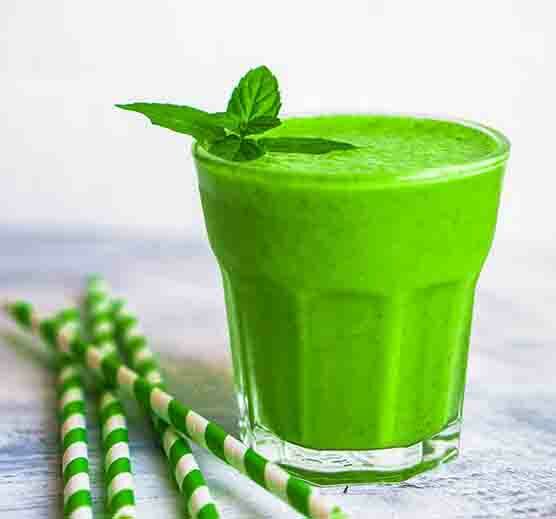 Other suggestions for enjoying Wild Superfood Complete in a morning beverage include organic superfood smoothies – you can choose which fruits and veggies you’d like in your superfood smoothies, then just add WSC and you are good to go! You can also add you favorite nut butter or protein powder, or raw organic powders such as Maca Root or Cacao for added flavor. Another suggestion I have for you is to drink a cup of Wild Superfood Complete in just water, then enjoy a bite of raw organic chocolate. The combination of earthy greens followed by luscious, luxurious cacao is always a delicious and savory experience. I also enjoy to have Wild Superfood Complete in the mid or late afternoon. It is perfect instead of a cup of coffee or other stimulants. This is another time when I enjoy to have raw organic chocolate with my Wild Superfood Complete for a perfect afternoon snack. It is also great with a meal or just by itself! By drinking Wild Superfood Complete, you should expect to enjoy the benefits of the product: Wild Superfood Complete improves energy levels throughout the day. It helps you to maintain wonderful energy during your daily activities. It is also beneficial for mental stamina throughout your daily work and life. I feel like I am better able to focus and stay productive and sharp when I have my Organic Superfoods Powder daily. Additional benefits of this product include alkalizing the body, keeping the gastrointestinal system clean and reducing body odor, and nourishing all body functions. This improves the wellbeing of systems including the immune, digestive, circulatory, bone/muscular/structural, nervous and hormonal systems of the body. It is great for overall vitality and health!